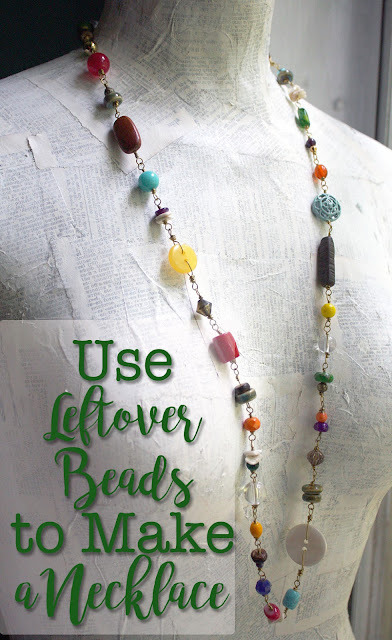 I was all kinds of lazy yesterday and just wanted to read through my jewelry friends' blogs. That's exactly all I did too! In my huge pile of blogs, I stumbled on quite a few giveaways and whatnot. The pretty packaging always gets me! Now that I've got your moth watering for free-stuff, how about some of those Giveaway links? 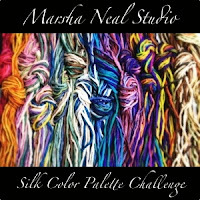 **First up, Marsha Neal is hosting another Silk Color Palette Challenge and is having a giveaway of a set of ten silk strands. There's loads more info on her blog post. 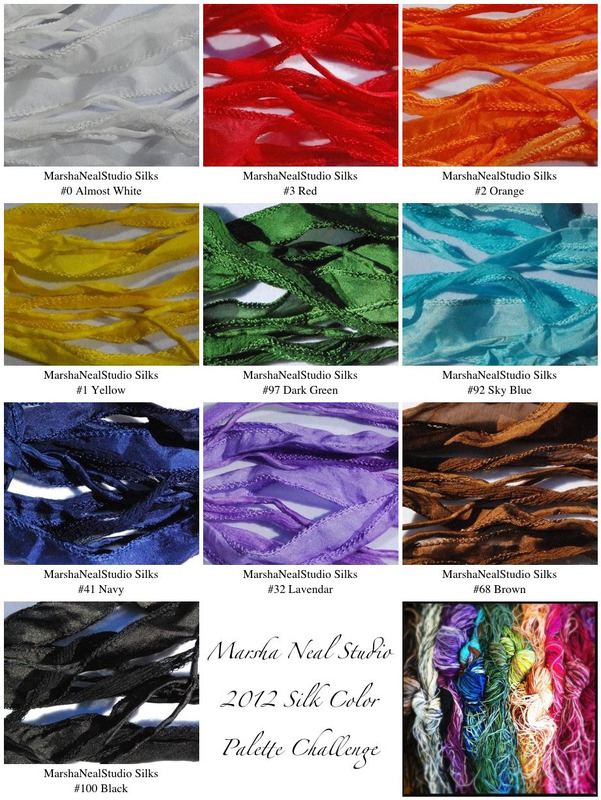 In addition, you can even make your own silk color palette for a chance to win. 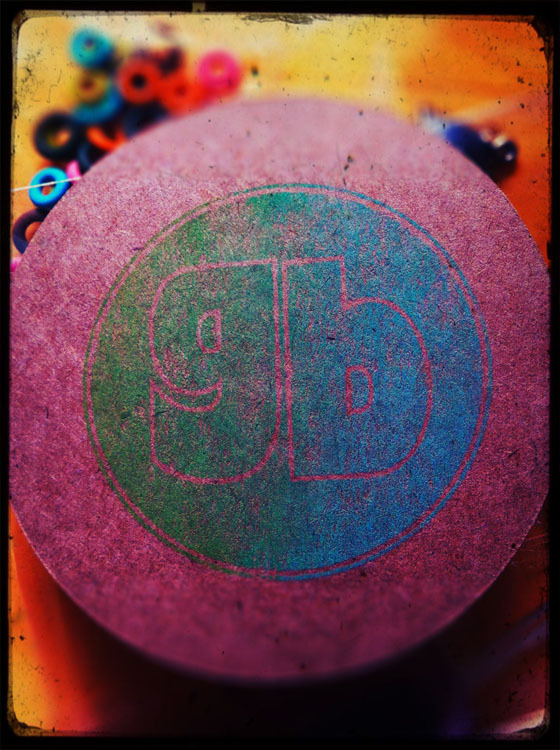 Here's the one I've made and will be linking up. I've got a thing for rainbows and bright colors. This Palette covers the rainbow, plus a white, brown, and black. The necessities, you know! I've named it Full Spectrum (aka ROY-G-BIV plus some). 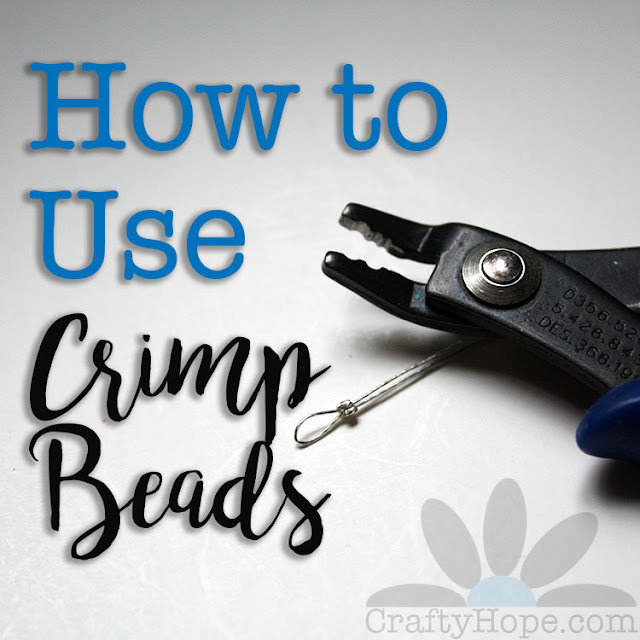 **Cindy at Sweet Bead Studio shows off some of her items from Easy Wire 2012 and is even giving away a pair of earrings from it. 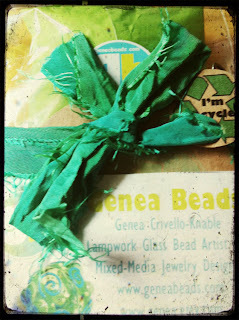 **Jenni of Jenni's beads has a great collection of handmade components that she is giving away. it's some really beautiful pieces! **ArtBeads' Blog for Beaders is giving away a Nunn Designs prize package. You just have to complete a short survey on what you would do with the supplies. **Mary Harding has the cutest ceramic asparagus pendant that she's giving away. Leave a comment about what YOUR favorite vegetable is to be entered! 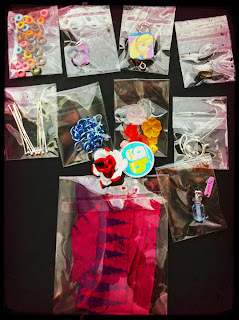 **Lastly, this isn't a giveaway so much as a reminder that sign-ups for the Bead Soup Blog Party are now open. You only have this weekend to sign up. Hop on the party train! Do it, do it. . . I also placed four items in the shop on SALE this morning. So if you're up for clicking ANOTHER link, you can check out my On Sale section of the CraftyHope shop. There's another storm heading in now and the thunder's booming so I better get off this computer. I hope y'all have a GREAT weekend!! Oh, I love Nunn Designs! Thanks for the heads-up! Oh Hope! This is an awesome palette!!! I love all the bright colors and how happy and joyful a palette it is! 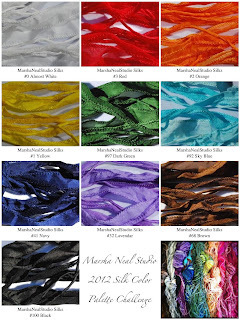 Thanks for taking the time to enter the 2nd round of the silk palette challenge! Good luck with the voting this next week! Meet My Bead Soup Partner! Monday's Meal Plan, now with NEW recipes!